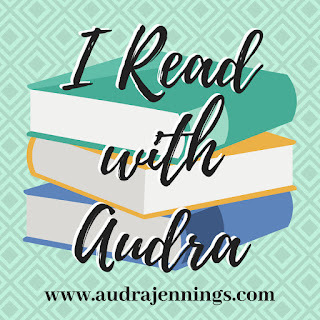 A Silken Thread (2019) by Kim Vogel Sawyer is a standalone Christian Historical novel. This book comes in all forms including eBook, and is 352 pages in length. With a full-time job and a busy six-year old at home, this book took me three days to read. I received a copy of this novel in paperback form from the publisher, Waterbrook Press, to review. In no way has this influenced my opinion of the story. All opinions expressed in this review are my own. I give A Silken Thread 3 STARS. A Silken Thread by Kim Vogel Sawyer is a deep read that discusses many thematic topics such as racism, classism, and faith. While there is a lot of meat to this story, I do admit that I struggled a bit with the characters, and I found the romance between Willie and Laurel to be forced. And, while I found the story to be an excellent historical read — I learned a lot about Georgia in 1895 — I felt like there are a couple of holes in the plot that left me feeling like the story is incomplete. Overall, this novel left me feeling so-so. My biggest struggle with A Silken Thread is the characters. Instead of being multifaceted people with depth and distinctive personalities, the characters in this story feel like stereotypical caricatures. The wealthy white guy is a narcissistic jerk; the hero is a poor working class guy with a heart of gold; the heroine is a naive beauty who is easily manipulated; and, the downtrodden African American man is angry that the world doesn’t treat him well. They are representations of human groups, not unique individuals. There is very little character growth, and when it does happen near the very end of the story I found I just couldn’t buy it. The growth felt forced. I also struggled with what seem like plot holes. There are secondary characters who do things in this novel — destroy public property and make threats against people — but then there is no resolution and no one is punished for their crimes. I get that in real life bad behavior often goes unaccounted for, but I can’t tell if this is the author’s point or if the story line just got forgotten. I was slightly discouraged by the end of the novel. There is one moment in the novel that I absolutely adored: when an angry Quincy sits down with his very wise mother in order to have a powerful discussion on slavery. Quincy is angry that 30 years after slavery has been abolished people still treat black men and women as if they were slaves. He doesn’t understand how white people can cheer on a black man like Booker T. Washington during a speech given at a local convention, and then walk past Quincy as if he were a piece of trash to be avoided. This kind of behavior from white folks makes Quincy so angry he becomes enraged and wants to fight. Quincy’s mother listens as her son pours out all his anger and hatred, and then tells Quincy that he is indeed a slave. This gets Quincy’s attention real quick. Quincy’s mother explains that in Matthew 6:24 Jesus tells those listening to His sermon that humans cannot serve two masters. We either serve God, or we serve something else. For Quincy, his anger has become his master. This conversation resonated deeply within me, and made me take a good look at myself. I questioned if God truly is my Master, or if I’ve allowed something else to control me. Of the many topics discussed in this novel, this conversation between a mother and son on slavery is the most compelling and powerful. While I struggled a bit with A Silken Thread, I definitely do not discourage anyone from reading it. There is a lot of awesome history detailed within the pages of this story that I very much enjoyed learning. And who knows, what’s not my cup of tea very well may be someone else’s. 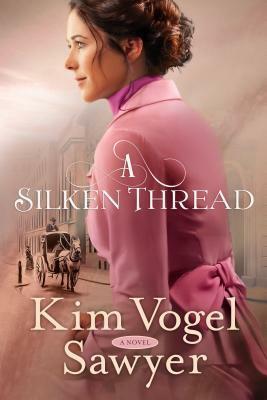 I am giving away ONE (1) paperback copy (Advanced Reader Copy) of A Silken Thread by Kim Vogel Sawyer. The giveaway begins today, 4-9-19 at 5:00 am (PST) and ends on Saturday, 4-13-19 at 12:00 pm (PST). To enter, click on the Rafflecopter link below. Good luck! CONGRATS TO DIANNA H. G.! I have some of her books on my tablet but I have not read any yet. I’ve only ever read one other book by this author. She is pretty new to me. I hope you enjoy her books. Thank you for stopping by today! I’m so glad! I’ve only ever read one other book by her. She is a pretty new-to-me author. I’ve read a few of Kim’s books and have more on my TBR. My review stack was a little too high when I received an email about this one so I passed at the time. It looked like it could be interesting but not enough to move to the top of my pile. Thanks for your honest review. I appreciated your thoughtful review. That gentle lesson on serving two masters is amazing! I read A Home in Drayton Valley by this author and liked it. Bringing Maggie Home was one of my favorite books by Kim Vogel Sawyer. Wonderful, thoughtful review! The statement from Qunicy’s grandmother is a powerful one! Thank you for sharing your thoughts and your heart! I haven’t read any of Kim Vogel Sawyer’s books yet. I hope you will get to soon!